It’s safe to say that both Rayman Origins and Rayman Legends are great games that have deservedly achieved critical praise and financial success for Ubisoft. It’s also safe to say that the original Rayman Jungle Run was a clever way to bring the frantic platform gameplay of the bigger console games to mobile devices. In stripping Rayman Origins down to an auto-running platformer with simple controls, Ubisoft managed to provide a challenging and exciting platform game that suited mobile devices perfectly. Rayman Fiesta Run is more of the same, which is in no way a bad thing. There are new features, but the core gameplay remains unchanged. 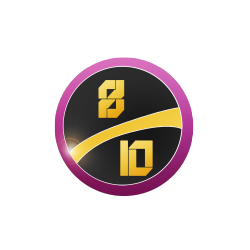 Approximately 80 levels of fast-paced platforming requires both quick thinking and level memorisation in order to collect a maximum of 100 Lums. The more Lums you find, the more Electoons you receive at the end of the stage and the faster new levels unlock – plus, on your travels you’ll also unlock new characters, artwork and more of Rayman’s abilities, which are regularly introduced to keep the gameplay fresh. The controls are still simple, starting you off with just a jump button and later giving you another button for attacking. Other abilities also use these same buttons, so you can concentrate less on where your thumbs are, and more about finding the perfect platform racing line in order to collect every Lum in sight. Rayman controls exactly as he does in Origins/Legends, so those of you who are familiar with Rayman’s physics should be right at home here. Keeping with the simplicity and accessibility of this Rayman adventure, you’re never more than a few seconds from gameplay. At all times, an on-screen button allows you to quickly restart a level should you make a mistake, and even death results in no more than a moment’s pause before restarting the level for you. Everything is immediate, just as it should be in a mobile game. Should you get every Lum in a level (earning a Perfect rating in the process), you’ll also unlock a harder “Invaded” version of that stage, which adds more enemies and hazards to avoid. These harder levels almost feel like entirely new levels themselves, adding more longevity to an already lengthy game. You’ve also got Facebook leaderboards so you can see how your friends are doing as well. For those who struggle a little with the challenges placed before you, the same does allow you to purchase some helpful upgrades with your collected Lums. Items such as limited or unlimited projectile attacks, hearts to protect you from damage and even an upgrade the shows you the best route through a level. While there are in-app purchases for buying extra Lums, there are enough littered around each level to be able to buy these upgrades without opening your wallet. Of course, as this game shares the same UbiArt engine as the console versions of recent Rayman games, it also shares the exact same assets. Just as in Jungle Run, the graphics are exactly like their full-sized counterparts and nothing is cut from the artwork that is still full of character and fun. 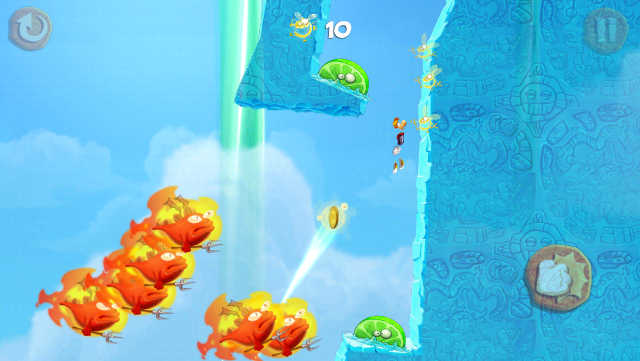 The same goes for the music and sound effects, which are taken directly from Rayman Legends. Yes, the high-pitched singing remains intact. 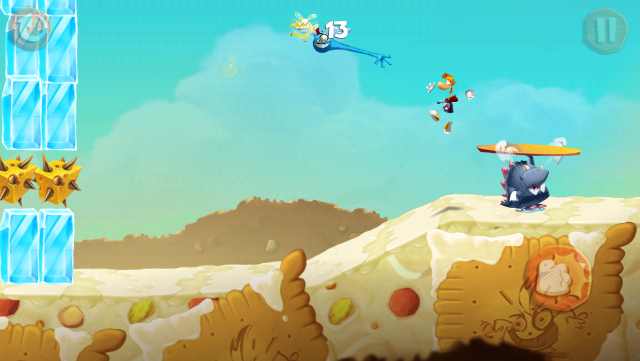 VERDICT: Fiesta Run is very similar to Rayman Legends. Much like that game, it’s an elaboration on what has come before (as Jungle Run was to Rayman Origins) and offers the same amount of fun and challenge as before. While the impact isn’t as great this time around, there’s plenty to enjoy with the second helping of mobile platforming goodness.